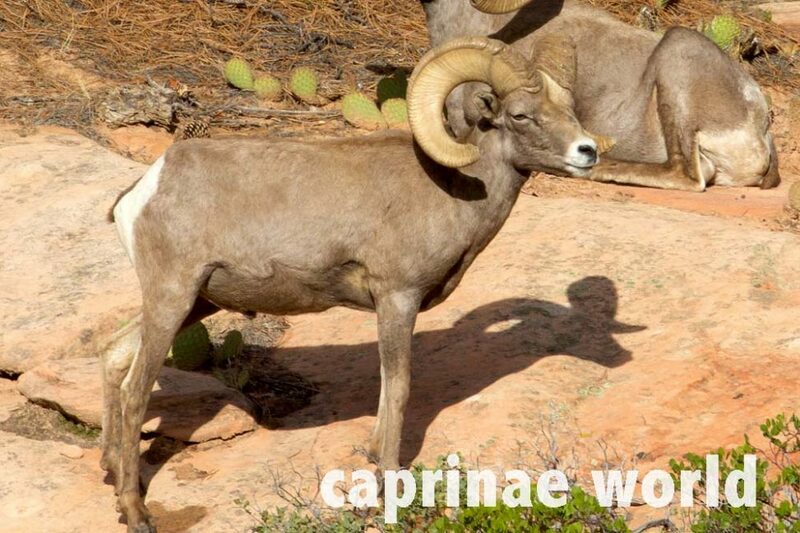 general appearance: Bighorn Sheep – in general – are blocky animals with compact bodies, relatively short legs, muscular front and hindquarters, sturdy necks and backs. 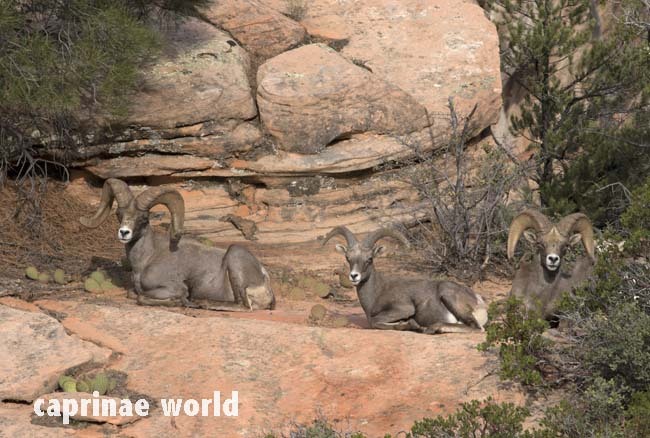 Desert Bighorns – compared to Rocky Mountain Bighorn – have a more slender build. 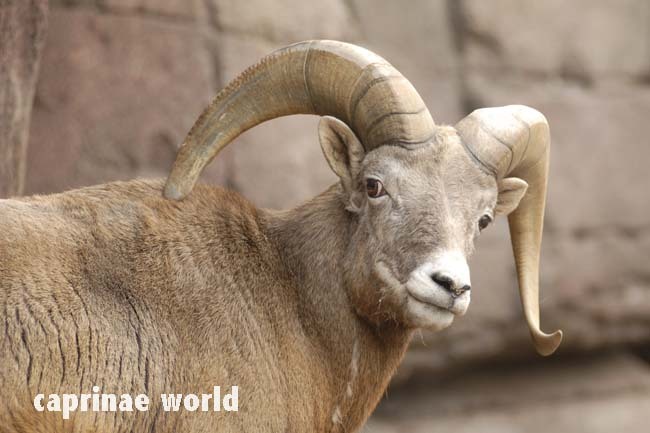 Desert Bighorn rams often give the impression of having disproportionately large horns relative to body size. Photo: Gregory Smith, Zion-NP, Utah. 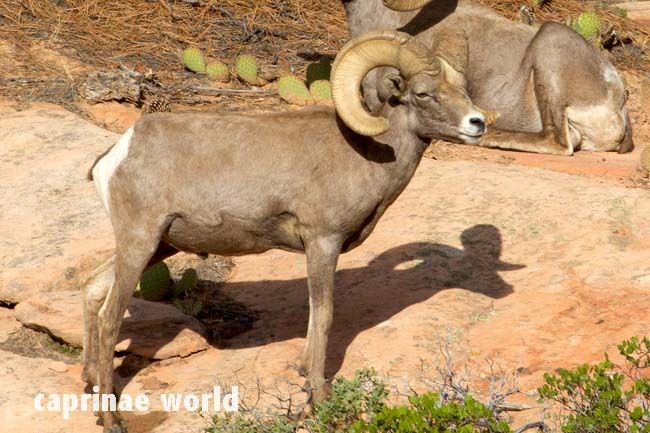 Water and seasonal precipitation have important effects on forage availability, quality, and palatability, especially in desert environments, and largely determine diet composition. 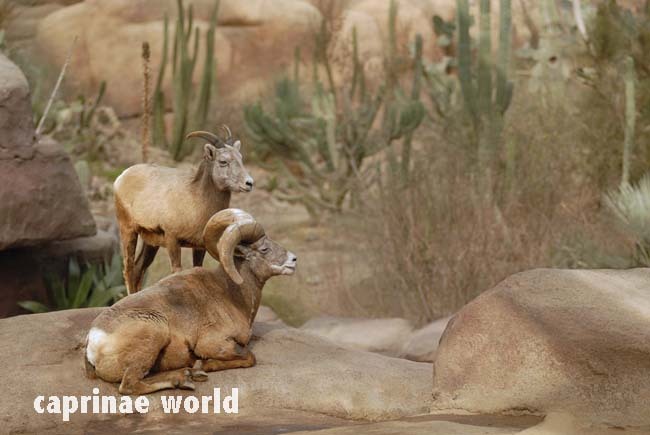 Desert Bighorns drink every 3 to 5 days on the average if available (Welles and Welles 1961). But sheep can survive without standing water for long periods . 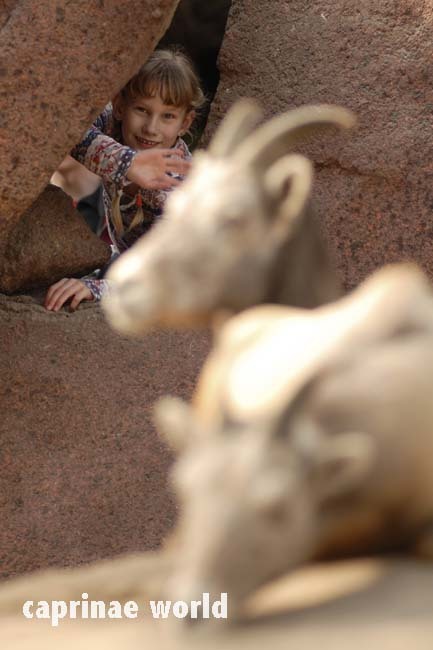 Exotic ungulates (e.g. 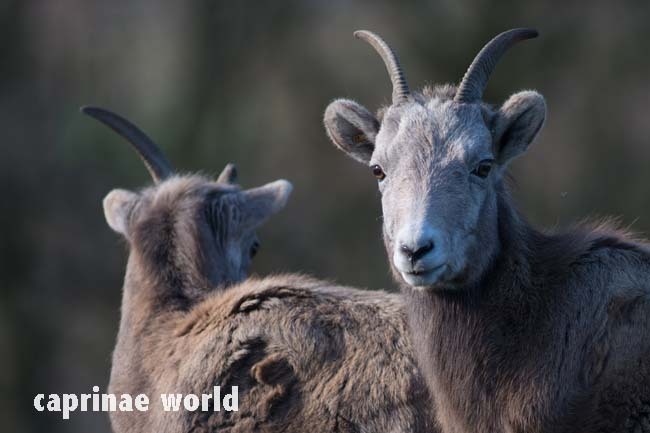 Aoudad  and Persian Wild Goat ) can compete for forage and space, and exotics, together with domestic livestock (including feral burros (Equus asinus) , can transmit diseases  or alter habitat conditions. Nevada: the main entrance to Valley of Fire State Park (NV); in Desert National Wildlife Refuge (NV). 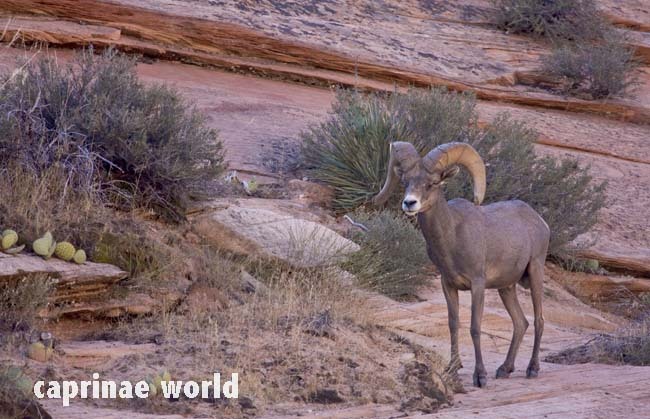 The website of Sheldon National Wildlife Refuge (NV) has a detailed list of locations within the refuge where a sighting is possible. Festa-Bianchet, M. 2008. Ovis canadensis. The IUCN Red List of Threatened Species 2008: e.T15735A5075259. http://dx.doi.org/10.2305/IUCN.UK.2008.RLTS.T15735A5075259.en. Downloaded on 19 March 2019. Wilson, D. E. and Mittermeier, R. A. 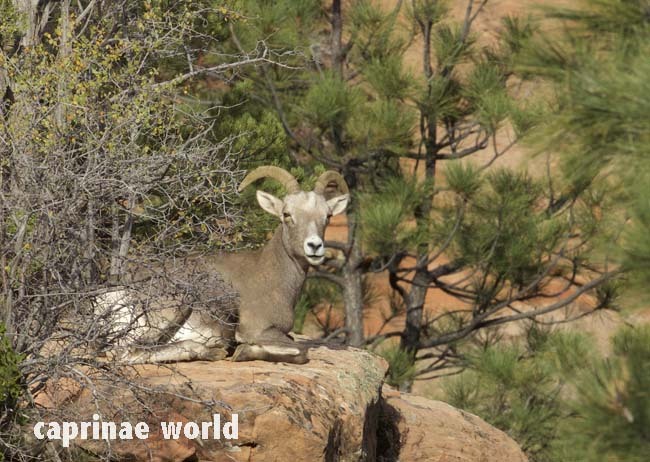 [eds], 2011: Handbook of the mammals of the world. Vol. 2. 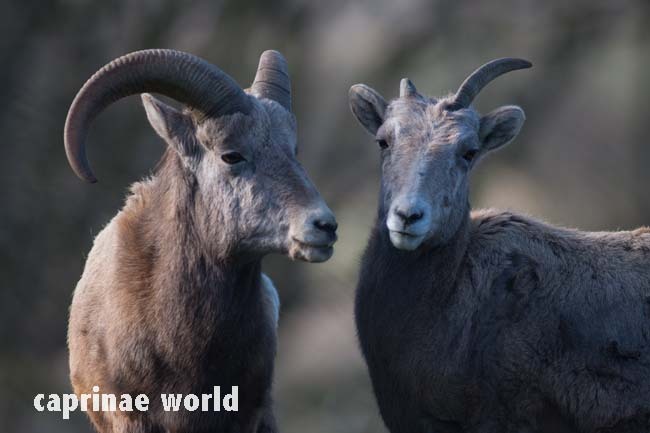 Hoofed mammals. Lynx Edicions, Barcelona. 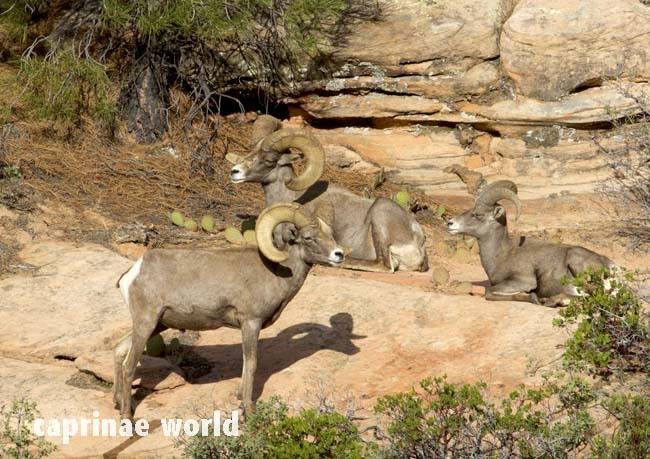 Desert Bighorn rams of different ages. Photo: Gregory Smith, Zion-NP, Utah.